Convert data from multiple sources (in this case, MapInfo TAB and MIF/MID) to KML for loading in Google Earth and other earth browsers. You'll see how to automatically set tags to define the style and symbology, set up the KML tree, and control the schema / attributes. The KML format supports tags that define the style and symbology of the features within a dataset. In FME, these tags can be set using KML-specific transformers, including the KMLStyler. 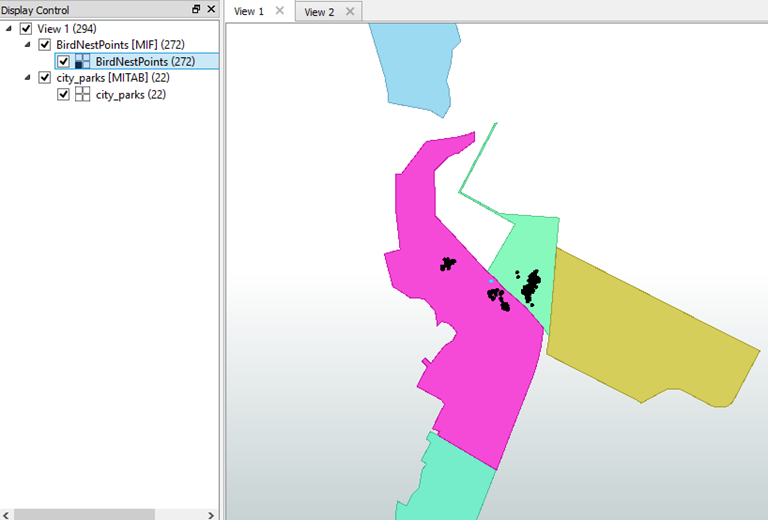 "city_parks.tab" polygons are read using the MapInfo TAB (MITAB) reader. The data is coordinate system aware, as is demonstrated by the Data Inspector tagging it with the TX83-CF coordinate system. 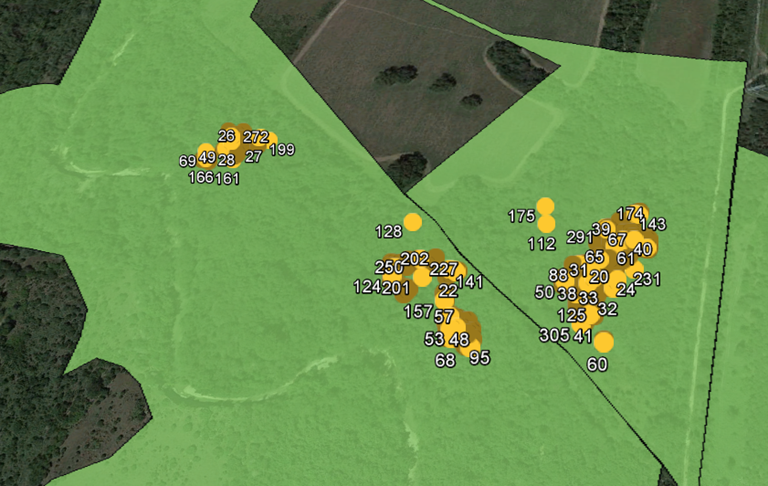 "BirdNestPoints.mif" points are read with the MapInfo (MIF/MID) reader. This source data is not coordinate system aware, therefore it is necessary to define its coordinate system, in this case, TX83-CF. The KMLPropertySetter sets a number of parameters, such as Navigation Tree and Description Balloon, which affect how the KML data is displayed in Google Earth. The KMLStyler sets color and opacity of "city_parks.tab" polygons. The KMLPropertySetter sets a number of parameters, which affect how the KML data is displayed in Google Earth. Point features are points of interest that have a location but not size, such as mountain peaks or historical markers. In KML, point features are assigned an icon as a map symbol. FME includes a set of built-in icons specifically designed for KML format translations and viewing. The KMLStyler transformer is used to set point feature parameters including icon type, color, size and opacity. For "BirdNestPoints.mif", the KMLStyler sets icon name and scale.